Marjolein Bastin’s beautifully painted florals appear in bouquets, baskets, garden pails and meadows. 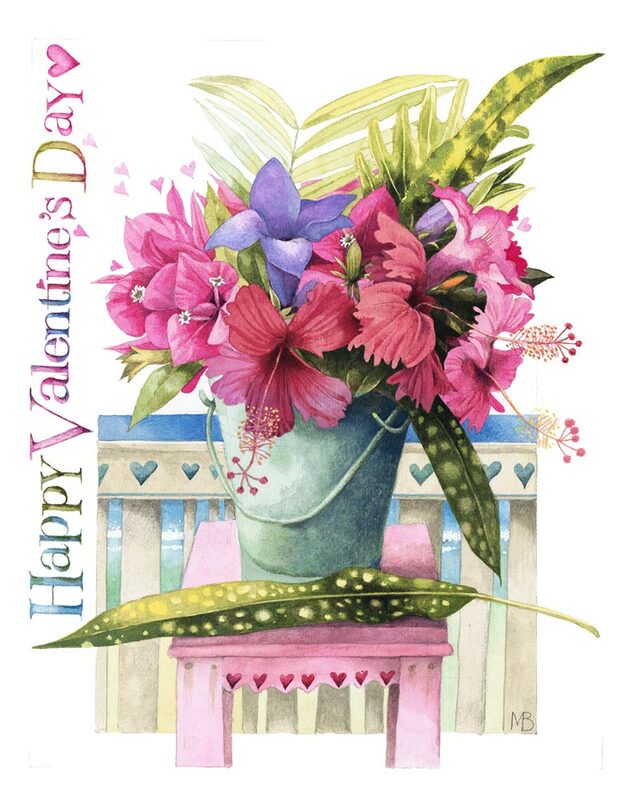 Art Brand Studios and Marjolein send warm wishes for a Happy Valentine’s Day. As a little girl, Marjolein Bastin collected and treasured simple items from nature – pinecones, seeds, and flowers. As soon as she was able to hold a pencil and paintbrush, she began to lovingly capture the beauty of nature in her sketches and paintings. Art Brand Studios’ licensing partnerships allow millions of people around the world to enjoy the images of their favorite artists on a variety of gifts, home décor accents, apparel, books, calendars, stationary and more. Over the past 30 years, we have built strong relationships with the world’s leading manufacturers and distributors, and we have developed a wide assortment of popular products embellished with the art of some of the world’s most beloved artists. We welcome new licensees to join us in creating high-quality products that consumers will treasure for years to come.